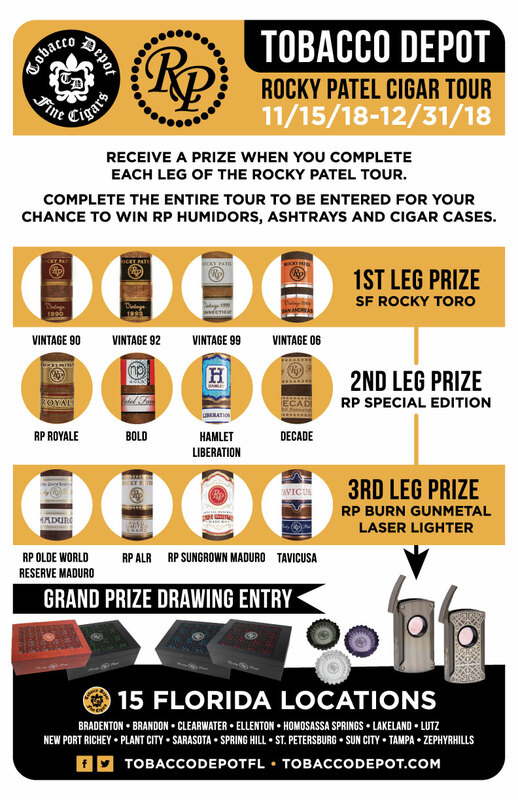 Smoke a wide range of Rocky Patel Premium Cigars, earn prizes and be entered into the Grand Prize Drawing when you complete the Rocky Patel Cigar Tour at Tobacco Depot! Prizes include additional cigars, Rocky Patel gunmetal laser lighters, humidors, ashtrays, and cigar cases. Stop by any Tobacco Depot location today to start your Rocky Patel cigar tour punch card.